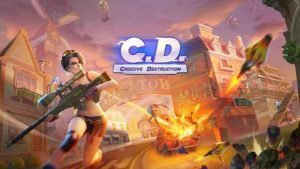 Creative Destruction Advance : Welcome to the world of Creative Destruction where everything is fully destructible! Hi!Really good game but I would like a playground mode in.Like fortnite.I also think u should be able to edit buildings and please do more pickaxes.Aswell as that please make a new map. Amazing. I was surprised that it actually ran on my device. Great game. All that is left to to create custom rooms where only friends can join. Basically Fortnite Playground.